Is It Really Okay for Bicyclists to Take Up a Whole Lane in Traffic? Although you and your family may own a couple of cars and take your rightful place in traffic each day, you may be avid bicyclists too. Most of us have at least one of these smaller two-wheeled vehicles lodged in the garage, taking them out to enjoy a wide range of benefits: fresh air, a free mode of transportation, and the chance to burn tons of calories, get in some cardio, and build both muscle and bone strength. Best of all though, bike riding can be a huge stress reliever…in most cases. Driving in traffic can be challenging, no matter who is traveling. You may be a motorist trying to get to work on time, feeling extremely frustrated by the enthusiast bicyclist riding ahead of you in traffic. Although they are obviously pedaling at an impressive speed for a bicycle, it may still be just a bit slow enough to keep you from sliding into your parking place on time. Conversely, if you are a bicyclist taking a familiar route through traffic to get to your destination, you may have good reason to worry about that car behind you that seems to be following way too close for safety or with a driver who may even be exhibiting signs of road rage with verbal abuse and honking in an attempt to get you to leave the road. Understand that although there may be fewer of them, bicyclists have the same rights to the road as you do. Use proper signals to avoid accidents at intersections. Take extra time and caution when making left- or right-hand turns. Be especially careful around crosswalks. Make sure the road is clear when parking and opening your door near traffic. Motorcycle riders are particularly vulnerable on our roadways due to their small size and lack of exterior safety. More than 80 percent of all reported motorcycle crashes result in injury or death to the motorcyclist. Road rash is a common injury among motorcycle riders. This injury occurs when skin makes contact with the road at high speeds. The resulting injury often leaves scars and disfigures a rider. Minor road rash affects the top layers of skin (epidermis and dermis) and heals in a couple of weeks. Road rash that affects deep tissue requires a longer healing process. Road rash can become infected throughout the healing process. Daily care is required to ensure best results and to mitigate scaring. It’s advised to see a doctor. A tetanus shot may be recommended. Bone fractures, or broken bones, are also common motorcycle injuries. A bone fracture occurs when excessive pressure or blunt force changes the shape of bone—usually a break, crack, or shatter. Falling riders extend their arms to protect themselves resulting in broken wrists and arms. Foot and leg fractures are also common among riders. Recovery after a broken bone depends on the age and health of the rider. According to the Insurance Information Institute, older riders sustain more serious injuries compared to young riders. In addition to reduced vision and reaction times, older riders are more likely to suffer broken bones and have longer recovery periods. Bone fractures take anywhere from six to twelve weeks to heal, sometimes longer, depending on the type of fracture (i.e., open or compound, hairline, comminuted, etc.). During recovery, daily activities may be limited and some people may require help with things like transportation, bathing, and cooking. Some people may need time away from work or limited work duties because of their condition. Head injuries are common among motorcyclists, especially in states that don’t have strict helmet laws. Florida, for example, does not currently enforce a universal helmet law. Instead, riders age 21 and over can elect to ride without a helmet if they carry at least $10,000 in medical insurance coverage. Unfortunately, even with a helmet, head injuries are still common. Increased intracranial pressure—swelling of the brain can cause further injury. Neurochemical problems—disruption of brain chemistry, which can affect the chemical substances that communicate within the central nervous system. Natural plasticity—the brain’s ability to change and adapt with time. Recovery from a head injury can take years, depending on how serious the damage is. Moreover, TBIs can result in significant physical and cognitive disabilities, limiting a person’s ability to work and enjoy activities. Motorcyclists who suffer a spinal cord injury experience symptoms that range from pain to paralysis. The effects of a spinal cord injury depend largely on the location and severity of the injury. Paralysis, the inability to move or feel sensation, is a common symptom among spinal cord injury victims. Injuries high on the neck or spine can result in paralysis of the arms and legs, while injuries below the neck may only affect the abdomen and legs, partially or completely. 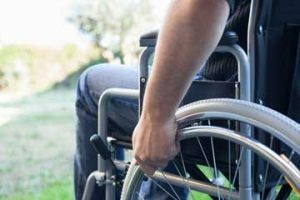 A spinal cord injury can significantly change a person’s life: gainful employment may be limited or not possible, and the person’s quality of life can suffer immensely. Are you a Florida motorcyclist? Stay apprised of important safety information. Follow Heintz & Becker on Twitter, or ‘like’ us on Facebook. Complex regional pain syndrome is a chronic condition with no cure. While around 200,000 people in the US are known to have CRPS, it is thought that there may actually be many more who are suffering from the wide range of symptoms—of which the most common is pain and severe discomfort. There are two types associated with this condition. Type 1 (also previously known as reflex sympathetic dystrophy syndrome or RSD) is the most common form, and usually occurs after a trauma such as a car crash or motorcycle accident—or after a mild to serious event like a heart attack. Type 2 (also known as causalgia) is rarer, usually resulting from a direct, known injury to a nerve. While pain is usually the first symptom to arise in pointing to CRPS, there is a long and varied list of associated and unpleasant symptoms. Most patients have no idea what CRPS is initially, struggling with discomfort that arrives on the heels of what is usually a less intense injury. An ankle sprain from a car accident may heal, but soon after CRPS takes its place with surprising ferocity. Skin sensitivity is common, usually occurring in the limb of the previous injury, although the other limb may be affected eventually too. While skin discoloration or swelling may be apparent (along with unusual hair or nail growth), in some cases, the nerve sensitivity may be invisible—but severe. Many individuals report pain after something as mild as a slight breeze touches the area. Unusual skin temperature may cause discomfort too, due to nerve damage and circulation issues. The skin may become cold, clammy, or sweaty, and may switch from one to the other unpredictably. These types of temperature issues and changes may also be a way for medical professionals to diagnose CRPS, along with ruling out other similar conditions or diseases and using MRIs, CTs, and bone scans. For a more successful outcome, swift diagnosis and treatment are recommended. Depending on the severity, doctors may suggest something as mild as over-the-counter pain relievers. They may also prescribe stronger medications to help patients deal with the pain, along with corticosteroids, topical anesthetics like Lidocaine, and more. Numerous therapies can be helpful too, from physical therapy to relaxation therapy, mirror therapy, biofeedback, and other methods. While cars and trucks dominate streets, roads, and highways in the US, millions of others also enjoy other forms of legal travel today whether as pedestrians, cycle enthusiasts, or motorcyclists. For those riding in traffic with larger vehicles, their vulnerability is not only obvious—but substantial; in fact, the average car today weighs over 4,000 lbs. When a collision occurs with someone on foot or traveling on two wheels, injury (and sometimes death) usually occurs. Motorcyclists—often the owners of one or more cars themselves—are a common sight on roads today, with over eight million of the popular smaller vehicles now registered in the US. Still though, visibility is often cited as an issue in accidents, although it is the motorist’s responsibility to be aware of their surroundings in traffic at all times. Motorcyclists usually employ a variety of tactics to make themselves known, from revving their engines to wearing bright coloring or reflective stripes on helmets and shoes, adding extra lighting, and moving within lanes to avoid being in blind spots. Far too many accidents still occur though, and especially in Florida. Take a few moments to collect yourself and evaluate the results of the accident, along with making sure the car that hit you has pulled over too. Assess whether you or your passenger have serious injuries. If there is any doubt, an ambulance should be called. Call the police so that an official report can be filed. This also means that you have law enforcement at the location in case the other party wants to leave the scene, or is argumentative, or under the influence of drugs or alcohol. Call an experienced car accident attorney from a firm like Heintz & Becker as soon as possible. Keep in mind that insurance adjustors will be calling you quickly—and they should be referred to your attorney. Not speaking with adjustors on your own can be extremely beneficial to your case. Take pictures of all damage or anything that could be considered evidence before moving your motorcycle, so traffic can continue safely forward. Take pictures of any crossroads, stoplights, and major traffic details close by. It is important to get pictures of the other vehicle if possible too, along with their license plate. If there are witnesses nearby, ask for their contact information. They could be key to your case later! Trade insurance information with the other driver, as well as getting any other contact information possible. The culture of riding is enticing, and it’s easy to understand why. You may have had a lifelong interest in building motorcycles—or perhaps you became interested in riding after seeing so many other happy souls out on the roads enjoying a different sense of freedom in travel. It could also be that you were looking for a more economical way to commute back and forth to work, or perhaps you tuned into a few too many episodes of Sons of Anarchy and decided to follow suit. No matter the reason for riding, motorcyclists around the US enjoy so many benefits, and amidst all the safety concerns, health and exercise is one of them. Riding is a full body workout, especially for the core, along with requiring constant brain activity due to intense focus on the road. And while it may seem important to ‘dress the part,’ the leather and boots—usually imparting a serious look of cool—can be critical to real protection. And in considering the statistics for motorcycle crashes in Florida, as well as common injuries sustained by those involved, you should want to stock up on all safety gear possible. While a fender bender when driving a car may be all too common on the roads today, resulting in no injuries and both parties often just walking away, the majority of motorcycle crashes end in injury or even death. And in Florida especially, caution must be taken as the roads are more dangerous than ever. Safety gear begins with the helmet—and even though it is not required in Florida if you are 21 or over, wearing a helmet improves your chances for preventing traumatic brain injury and other major problems. With leather protection, you may also be able to prevent losing a significant amount of skin when hitting the pavement. Road rash is an all-too-common injury, and leather pants and a jacket (or a full riding suit) offer a valuable safeguard. The amount of skin you could lose due to lack of protection is alarming—even if you were going at a relatively slow speed in the event of a crash. 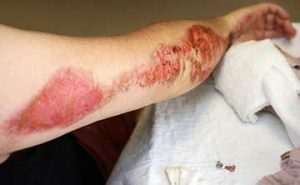 Without protective clothing, you could risk road rash in a variety of degrees—similar to burns—with some of the most serious cases requiring skin grafting. If you have suffered or are suffering from road rash, then you know how painful it can be whether it is first, second, or third degree, with infection being an added risk. Florida Boating: Can Your Passengers Swim? If only life could be so easy as going out and having a great time without having to worry about a list of to-do’s and minutiae! Unfortunately, the rewards of kicking back are usually accompanied with tasks to do both before and after—and boating is a perfect example. Not only is there the maintenance of the boat (ongoing—and we all know what they say about boats and expenses) but a safety checklist that must be referred to before leaving the dock. Boats can be a great form of recreation, allowing vacationers and Floridians to enjoy that famous southern sunshine as well as fresh air, saltwater, glimpses of a variety of wildlife, and quality time spent with family and friends. Under some circumstances though, they can lead to accidents and catastrophe. While defective manufacturing or products are sometimes to blame, boating accidents often occur during the best of weather, under light winds and calm water. For a number of reasons, boats may capsize, or passengers may fall overboard, leading to serious injuries or drowning. Swimming accidents can occur during a day of boating also, whether off the beach or while anchored. Life jackets are one of the best ways to prevent drowning and are required by Florida law. As you make sure you have enough of them on board for all your passengers, take time to inquire about the swimming experience of everyone on board too. This is helpful especially if you are planning a day with everyone in the water—as well as gaining a heads up on who may have weaker swimming skills in the case of an emergency. If you find out that one or more of your passengers are non-swimmers, you may want to ask them to wear a life jacket during the time they are on the boat or in water that could be deep enough for drowning. If you are well-familiarized with the area where you will be boating, alert any non-swimmers to areas that are not good for wading or ask that they stay out of the water. This could be a life or death issue, so be sure to set boundaries as the operator of the boat who is responsible for getting everyone home safely. Were you injured in a boating accident due to the negligence of others? If so, please call Heintz & Becker today to consult with a skilled boat accident lawyer. Our attorneys have helped victims from Bradenton, Sarasota, and all over Florida get compensation for their damages and medical expenses. Call us for a free consultation now at 941-748-2916 or contact us online. We are here to help, and if you cannot come to us, we will come to you. As traffic fatalities continue to rise, city and town officials across the US have continued to investigate ways to make roads safer. With so many more cars on the highways today, it is not surprising that there are more accidents—but so many can be easily prevented. Distracted driving continues to be one of the greatest threats, and one must wonder if smartphone companies had any idea the impact they would have on traffic statistics when they created electronics that are so tempting and addictive that motorists cannot put them down long enough to get from one destination to another! You may feel quite safe as you drive to work each day, run your errands, and pick up the kids from school—but dangers abound on the roads, and usually in the form of other motorists who are driving while they are sleepy, under the influence, or are speeding or ignoring other traffic rules, to include running red lights and not practicing caution at intersections. While it might seem like taking the offense while out on the roads is the only option today, aggressive driving (sometimes synonymous with road rage) is responsible for thousands of crashes each year. Speeding is one of the most common forms of aggressive driving, along with tailgating, passing aggressively and often when it is illegal, failing to signal, and ignoring other basic traffic rules. When these problems turn into full-blown road rage, violence is too easily incited and what could have been an easy drive back and forth to the grocery store could turn into a criminal act. Avoiding all distractions, whether from passengers in the car, eating, drinking, grooming, or electronics. Expecting that other drivers may be unpredictable, causing you to use extra caution. Keeping a safe driving distance from other cars. Driving the speed limit and following traffic rules. Slowing down and using extra caution when driving conditions are poor. Complex regional pain syndrome is a condition unknown to many. Said to be affecting under five percent of those with nerve damage in the US (although the numbers may be considerably higher due to underreporting), CRPS usually comes as a surprise to those afflicted with this rare disorder as it may affect an area that was thought to have already healed. Physical trauma from a car accident is a common reason for triggering CRPS, even if the original injury was fairly mild. A wrist or ankle sprain or even a break may have occurred and healed easily, only to have CRPS develop afterward with a pain that is far more intense than the original health problem. The condition can even sometimes be triggered by a cast being put on to heal a broken limb or a procedure as minor as having a shot administered. CRPS usually becomes apparent with intense discomfort, and symptoms such as burning, throbbing, and extreme sensitivity are common; in fact, affected limbs can be so sensitive that just being outside in a minor breeze can be painful—as well as enduring just the slightest touch. The skin may also become discolored, glossy in texture, and temperature of the area in question may vary between hot, cold, and clammy. Physical therapy is often necessary, along with other CRPS treatments like heat, topical anesthetics (like Lidocaine), nerve or spinal cord therapy—and sometimes even options like relaxation therapy or biofeedback. CRPS sufferers may become depressed too as pain causes restriction and numerous (not always pleasant, unfortunately) adjustments to their way of life. Antidepressants may be prescribed along with ongoing therapy via a licensed medical health professional. If you live in a larger city, chances are the roads are teeming with cars and trucks most of the day—and especially at those rush hour times (which today seem to become more and more unpredictable due to staggered work times for many). Car sales continue to increase, gas prices are down with greater affordability, and with less unemployment, more motorists are traveling back and forth to work. While those are all positive signs for the US economy, one major downside is that more cars on the roads means more accidents—and it also means there may be an even greater challenge for motorists to see motorcyclists, bicyclists, and pedestrians. Visibility is always an issue in traffic—evidenced by one of the most common comments after accidents: “They came out of nowhere—I didn’t see them!” And while it is the motorist’s responsibility to make sure they are driving defensively and being cautious in areas where smaller vehicles and pedestrians are present, all too often they are distracted; in fact, the distraction of cell phones can be a problem with pedestrians too. Driving the same routes each day can lead to a lack of alertness as well—almost as if some drivers are on autopilot, sometimes causing them to wreak havoc on highways, as well as intersections and crosswalks. Far too many motorists may also be speeding, driving under the influence, or behaving recklessly and putting the lives of others in serious danger. Whether you are riding a motorcycle, bicycle, or walking, brightly colored clothing or neon is always one of the best ways to be seen—and especially at dusk or after dark. Although black leather and dark clothing often has a ‘cool factor,’ you may become invisible to motorists after the sun starts going down. Consider reflective stripes for clothing, shoes, and helmets. Extra lights or reflectors on your motorcycle or bicycle are recommended, and pedestrians can always travel with flashlights for added visibility and helpful illumination on the road. When riding in traffic lanes, avoid motorists blind spots, obey all traffic rules and watch out for doors opening from parked cars! Cross walks are a common area for accidents, so along with making yourself more visible, be aware of oncoming traffic and turning cars. Before walking, make eye contact with motorists to verify they are stopping for you as required. Motorcyclists can also rev their engines for added effect in being noticed. If you have been injured in a motorcycle accident, bicycle accident, pedestrian accident or car wreck due to the negligence of another driver, contact the attorneys at Heintz & Becker. We’ve helped victims from Bradenton, Sarasota, and all over Florida get compensation for their damages and medical expenses after accidents. Call us for a free consultation now at 941-748-2916 or contact us online. We are here to help! The patient is usually unaware of CRPS in the beginning, and medical professionals may have to rule out a number of other health problems before settling on the CRPS diagnosis as there is no specific test for it yet. CTs, MRIs, and bone scans are often helpful in diagnostics. Once CRPS has been diagnosed, the patient may be put on a regimen of corticosteroids, pain relievers, topical anesthetic creams, or other medications. Along with that, physical therapy may be required. CRPS can change an individual’s life significantly. While before they may have been active and healthy, the condition can cause them to fear being mobile due to resulting pain. They may also be in too much pain overall to live like they used too. With their quality of life suddenly seriously diminished, those suffering from CRPS may become depressed. Doctors may prescribe antidepressants as well as suggesting the help of a mental health professional or therapist on a regular basis to help them deal with the adjustment. Type 1 CRPS can also be caused by surgeries, medical procedures (some of which may be extremely mild), and injuries to soft tissue that may be caused by burns or other accidents. The rarer Type 2 usually affects the nerves directly, with the cause being known (rather than occurring as a surprise or a bit of a mystery later) after an obvious injury.